Hide deals from seller "Image Hair Studio"
Limit 1 per person and 1 per transaction. Valid toward products and services. Services by appointment only. Full value of Gift Certificate must be used in 1 visit. 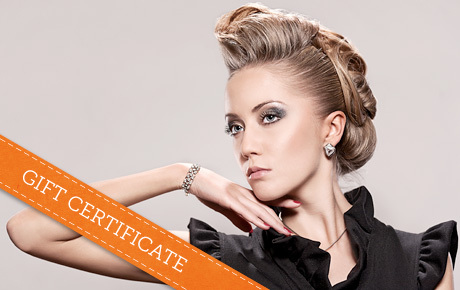 Improve your image with 50% off a $20 Gift Certificate to Image Hair Studios in Des Plaines. The stylists at this chic salon pride themselves on giving clients a renewed sense of confidence. Whether you’re looking for a subtle change or a totally new look, the experienced stylists will deliver a look that is as unique as you are. Their services range from cuts and color to perms, styles and elaborate updos. They also offer a variety of haircare products to keep your new look intact. Image Hair Studios sells an assorted selection of fashionable accessories to accent your new look. With their passion for fashion and beauty, the staff at this inviting salon will help you embrace a new look. A hair salon in Des Plaines that offers cuts, color, hair treatments and more.